We all know that women love shopping and this causes an immediate problem when you have to buy online gifts for her. 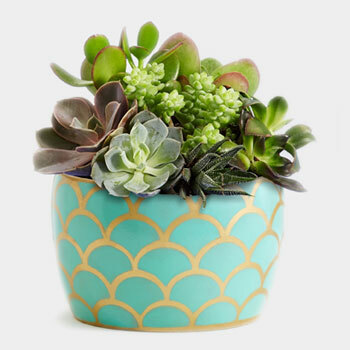 Giftcart.com is one such online portal that brings to you a varied collection of gifts and ideas that will provide you with something different for your adorable mom, sister, girlfriend or any lovely lady in life. With such an enormous range of gifts for women in every different category we assure you will always get the best with us. Yes, women love shopping. (Well, who doesn’t? But yes, let’s face it, the temperature is soaring high when women are out in stores, malls or ONLINE SHOPPING! Holler ‘shopping’, and there come women. But what is even more true is that they love it when they are asked what they want, rather given a gift that steals their attention, and doubtless, their hearts. So for those searching for an ideal gift for their wives, girlfriends, sisters, mothers, grandmothers, friends, daughters – the women you love most in your life – why go any further than Giftcart.com? Okay, so how about a sweet, dark, handmaid premium chocolate wrapped in glossy card stock paper that has on it ‘I heart my sister’ or any such heartfelt message with your and your sister’s name on it? While surely that may not be it (since, you know, women love gifts) you could consider another unique gift for her in the sleek brass bracelet that could be personalized to have her name as part of it! 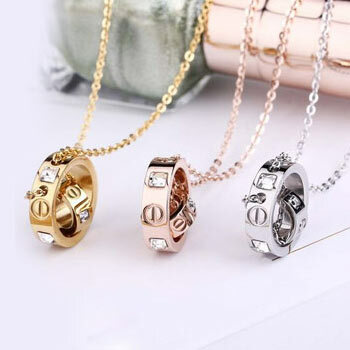 Such personalized gifts for her come in three colors – gold, silver, and rose gold. Exciting isn’t it? When it comes to giving your wife or long-time girlfriend a wonderful gift from the category of personalized gifts for women, think of the joy in her face when she receives a mousepad – well, don’t look so morose just yet since it is not just another mouse pad – that can be personalized with nine photos most cherished by you and her, both your names on it and even a special date, one that means much to the both of you! If it is a unique gift for her, the warm smile in return will be a unique back for you too, isn’t it? Stop not here! For there’s more online gifts for her. 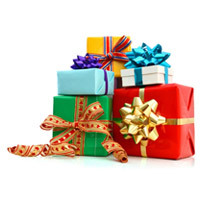 In other categories of online gifts for women consider beauty gift hampers bringing together a combination of any of the following items: handmade soaps (smell raspberry and mint, ah), bath towels, cosmetics, hair brushes, deosprays, eyeliners, lotions (for instance, from Revlon) and moisturizing creams, and much more! Dove, Jergens, Naturelle Farmasi, Neutrogena and L’Oreal are just some of the brands you will come across in this category. There might be some delightful chocolates thrown in too in such online gift baskets for women. If setting up your home is something she loves to do, Giftcart has some superb online gifts for her in the home and living category. Give her a keepsake in the form of a personalized wall clock, or couple cushions with your names on them, or a beautiful handmade Italian Waikameri photo frame, or even a plant pot made of resin in the shape of a small, brown dachshund (which is usable both indoors and outdoors). The options in online gifts for women category are quite endless – and with our easy return and replacement policies, e-gifting just became that much hassle-free! What is more, some of the above gifts come with some superb discount offers too! Now, when we speak of gifts generally, ideas always matter. But when you are speaking of gift ideas for women, that goes to another level. For at Giftcart, we really think on your behalf. So when it comes to some special gift ideas for her, there is never a dearth of those. Want to know why? Idea 1: How about a wooden photo frame but one that comes with two window like structures with blinds. Close them on the photos to ward off the evil eye, and open them only if you know love? Idea 2: As a special gift idea for her explore an assortment of a chappat planter, a super batli and sleeping pint - all made of upcycled bottles, and so fade proof and washable. 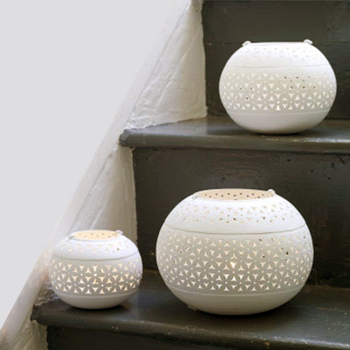 Whether one puts plants, herbs or flowers, these eco-friendly gifts will certainly lighten up the space one inhabits. Go for it, we say. Idea 3: There is nothing like personalized gifts for women, yes, we get that. But even when you do that, it is always nice to go that one step further to rummage through and find that one gift idea for the woman in your life who is special, isn’t it? So what about an 18k gold ring that can be personalized by her finger print? As we said, go no further than Giftcart if you are looking for that unique personalized gift for her. And then is about to come the birthday! No, no need to fret gift-giver. We, at Giftcart, understand to what extent it is important for you that you choose one of the best birthday gifts for her. So, hang in there and let us give you some choices you could think about. In Giftcart’s birthday gifts for women category, to begin with, you could certainly think of a chocolate hamper consisting of a Ferrero Rocher chocolate, Danish Butter cookies, Butter toffees and Twix Chocolates all in a cane basket. This delicious gift aside, in other birthday gifts for women, there could be a personalized (with a photo) acrylic keyring, a zodiac mug (makes sense on a birthday, right? ), an engraved photo plaque, a biodegradable desi cotton pouch with motifs from incredible India printed on it, and watches. Yes! Whether she likes it chic and contemporary or classic and traditional, Giftcart has watches in drop-dead-gorgeous designs from international brands like Michael Kors and Casio, and no you don’t want to miss this if you want to choose from some of the best birthday gifts for her. And then on to some sumptuous jewellery items that take in bracelets, pendants, necklaces, and much more! And speaking of jewellery, if you are in two minds about a love gift for her, this might just be it. Whether it is a personalized name pendant (choose Hindi or English) or a name bracelet or ring, or an unusually beautiful tribal design necklace combined with sixteen pieces of Ferrero Rocher chocolates – go all out when it comes to choosing from our romantic gifts for women. If you thought, chocolates and jewelery were passé, then Giftcart has a section that has some of the most charming love gifts for women you can find. No, that is not an empty promise. Consider starting a romantic evening with an ‘appropriately’ naughty card saying ‘You’re in my inappropriate thoughts’ and that you were missing her (and this is also available for further personalization!) and then spicing that up with sending her a personalized photo frame consisting of a set of three heart-shaped wooden photo frames in which you may put some memorable photos of you and your beloved. Would not this make for an ideal romantic gift for her? 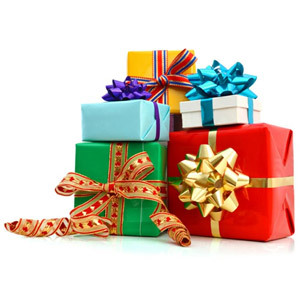 But of course, as it usually happens with gift categories in Giftcart, there are more ideas to spoil both the one that gifts and the one that receives it, no matter where you are in India or outside. So, get started now to take this journey and let Giftcart help you reach her heart through the heart you put in choosing the right romantic gift for her. It is already known that women love to receive gifts with or without any reason so what is better than to buy relevant floral gifts for them. Flowers are one of the sweetest ways of expressing untold feelings. Thus our gift experts have brought to you lovely flowers that will surely be loved by any female in your life. And along with such dainty pieces of nature we bring tasty cakes which will make a delightful combo for the special one. Our range of presents and gifts for women also include beauty and personal care gifting ideas. View our range that has fragrances from top brands like Carolina Herrera, Mont Blanc, DKNY, natural oil extracts along with manicure and pedicure kits from basicare which will be most loved women gifts. We also have in stock hampers for her which includes products from top brands like Khadi, Lakme along with bath robe, mirrors and skin care products that make thoughtful gifts for women. Find a gift for the lovely ladies in your life by way of our handpicked edit. From keepsake jewellery, fashionable watches, bags, card holders to must have accessories, no matter what the occasion is she deserves to be spoilt this season. Our latest jewellery collection has neckpieces, rings, and earrings embedded with precious stone which makes one of the best gifts for her. Explore our selection of home and living gifts, which are handpicked by experts and surprise the special someone in your life. It is a well known fact that women love to decorate their homes, so choosing from our amazing collection can work wonders. Our site has the largest variety of products which range from napkin holders, mugs, memo holders, mouse pad, candles shot glasses and many more that will surely strike a chord with them. Apart from our home and living section check our eco friendly section and garden gifts. While the eco friendly section has planters, canvas bag and herbal gifts hamper, it is our garden gifts which will surely garner your attention. With a variety of plants like ZED, Bamboo, Succulent and grass dolls these will surely add a twist to the garden decor and make cool gifts for her. Any gift which comes with a personal touch makes a lovely surprise. Thus Giftcart has brought to you a cool selection of personalised gifts which include, earrings, mugs, caricatures, aprons, cushions and many more that will surely bring smile on the face of lucky recipient. If the women in your life like something extraordinary then check our gag gifts section. From caricatures, dice of excuses to eatable design memo pads everything you see here will make thoughtful gifts for her.